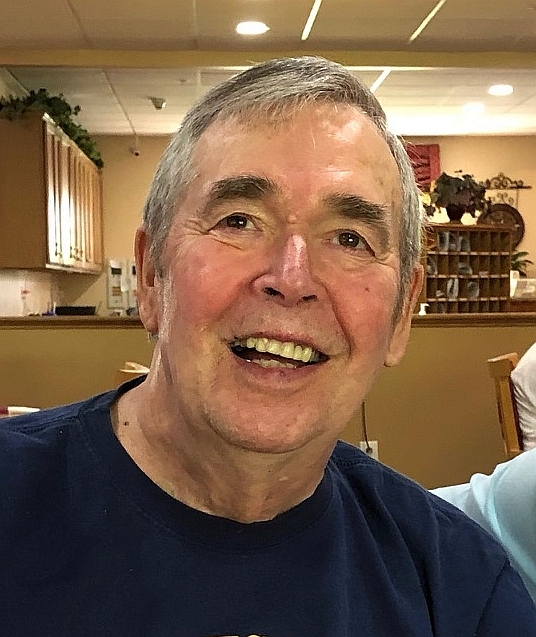 ISHPEMING — John Norman Pontti, 82, went home to be with his Lord and Savior on Thursday evening, Feb. 7, 2019, at Mill Creek Assisted Living in Marquette, where he had resided since May 2017 while under the loving care of his family, the staff at Mill Creek and Upper Peninsula Home Health and Hospice. John was born Dec. 3, 1936, in Negaunee, to the late Val and June (Silas) Pontti. He was a graduate of Ishpeming High School, Class of 1954, where he was a member of the track and basketball teams and trained as a Nordic combined ski competitor. John furthered his education, track and downhill skiing interests at Northern Michigan University, receiving a bachelor’s degree in 1958 and later a master’s degree in special education. John worked as a teacher of art and history along with special education in the Ishpeming School District. He also coached the high school’s first boys and girls ski team. John was influential in the Ishpeming-Negaunee-NICE Community Schools Education Program, taking on the director’s position in the NICE Community School District at its inception. Later, John served as principal at the North Lake, Diorite and West Ishpeming Elementary Schools. John was devoted to community education programs and students with special needs throughout his career. John is survived by his wife, Marilyn (Sundberg) Pontti of Ishpeming, whom he married on Dec. 28, 1960; two sons, Mark (Peggy) Pontti of Iron Mountain, Todd Pontti of Monterey, Calif.; daughter, Jill (David) Simula of El Dorado Hills, Calif.; grandchildren Meredith (Nate) Johnson, Alyssa and Emma Pontti and Jordan and Noah Simula; four sisters, Carol Waters of Marquette, Connie (Errol) Moffatt of Lutz, Fla., Lynn (Fred) Whaley of Portland, Ore., Sue (Grant) Foster of Camdenton, Mo. ; three brothers, Michael (Diana) Pontti of Fairfax, Va., Greg (Eileen) Pontti of Waialua, Hawaii, and Robert (Carol) Selfridge of Zephyrhills, Fla. He is also survived by a sister-in-law, Joan Sundberg of Little Canada, Minn.; brother-in-law Paul Sundberg of Longmont, Colo.; numerous nieces and nephews; several cousins; and many special friends. John was a member of Bethany Lutheran Church of Ishpeming, serving in many leadership capacities. He was also active in Big Brothers Big Sisters, serving as a Big Brother and mentor for many years. John served as the Ishpeming Teachers Association first president and was a past president of the Kiwanis Club. He worked with art community leaders in setting up the inaugural Art on the Rocks, and helped coordinate the Marquette County Harvest Festivals. John was a leader in the rebirth of the Vista Theater through the Peninsula Arts Appreciation Council (PAAC), and volunteered with transportation during 1996 FinnFest USA. John taught many to ski and always enjoyed introducing others to the sport. He took delight in the outdoors and being active, often leading youth bicycle trips, kayaking and golfing with buddies in the summer until the snow fell, when he would be back on his skis and snowshoes. He loved people young and old and he was blessed with a passion for community service. John’s courage and “SISU” in the face of adversity inspired many. He had a quick wit and a generous heart for others. He was deeply loved and will be greatly missed. The family would like to thank the staff at Mill Creek for their loving, attentive care while John was a resident. There are many others who contributed to his care and happiness over the years. Our deepest thanks to all of you. A memorial service to celebrate the life of John will be held at the Bethany Lutheran Church in Ishpeming at a future date. Those wishing to make expressions of sympathy, please consider donations to Bethany Lutheran Church of Ishpeming. John’s obituary may also be viewed at bjorkandzhulkie.com, where relatives and friends may leave a note of remembrance.